Sing movie toys arrived at McDonald’s. Now, kids have the chance to explore the funny world of the famous animated musical comedy as every Happy Meal comes with one toy from it. The official YouTube channel of Happy Meal Toys for Kids has released a 30-second commercial highlighting that, for a limited time, a toy character from the Sing movie will come in each McDonald’s Happy Meal. The spot features Eddie Noodleman, the Suffolk sheep, ordering a Happy Meal with McNuggets, Rosita and her piglets, Johnny, the Cockney-accented mountain gorilla, the snail, and others making an order, as well, at McDonald’s. 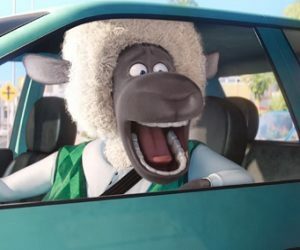 The spot ends with the voiceover telling you that you can enjoy the goodness of milk and a friend from the new movie Sing in your McDonald’s Happy Meal.